When you live in paradise the temptation can be to stay put but every now and then the urge to stray a little further afield still sneaks up on us. It doesn’t have to be very far, there are plenty of spectacular places to visit within just a couple of hours drive and, let’s face it, as long as it’s far enough to merit an overnight stay thereby shutting the door firmly on home and office and all the unfinished jobs on the to-do list then that’s just perfect! 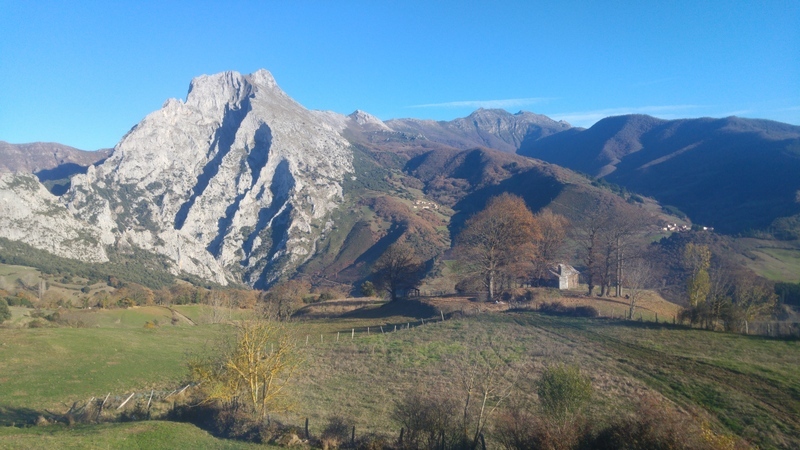 As autumn continues to stretch into late December with clear sunny days and cold, starry nights we were prompted last weekend to head eastwards to the heart of the Picos de Europa mountains for a stay in one of our favourite villages in Cantabria, La Hermida. 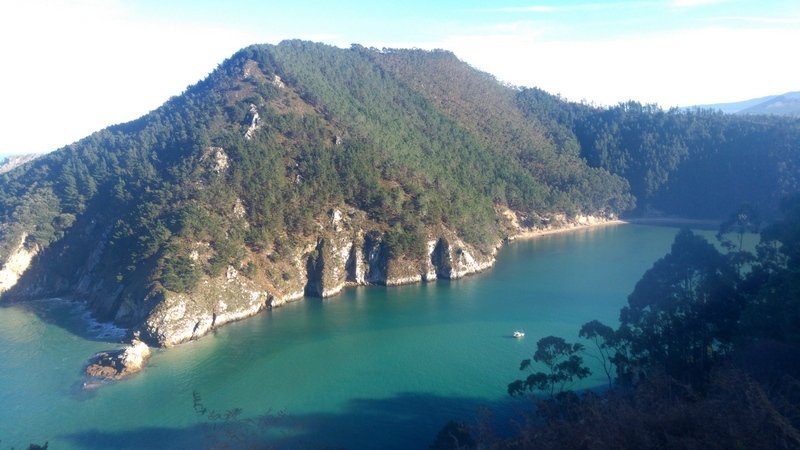 Travel, of course, is about the journey and not just the destination and the drive along the eastern coast of Asturias is always a pleasure in itself as endless beaches, coves and cliffs unfurl alongside the Cantabrian sea. 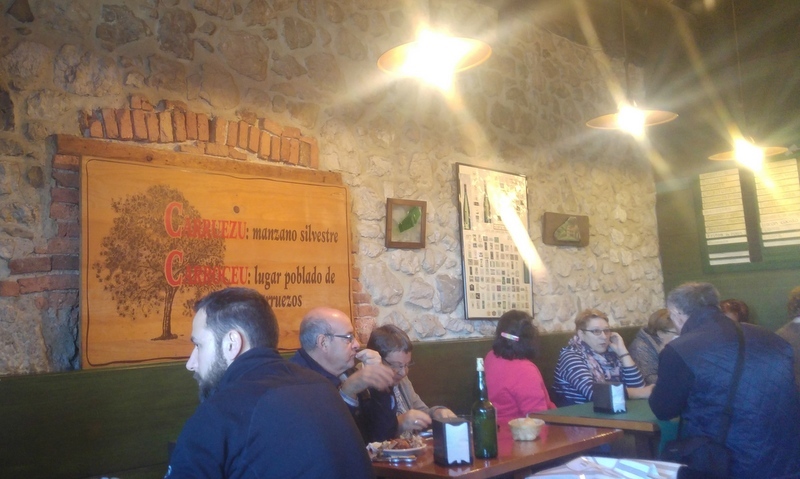 And it’s made all the better by a smartly-timed lunch stop in Ribadesella at one of our favourite restaurants. With a location on the waterfront its perhaps no surprise that Sidreria El Carroceu offers wonderfully fresh seafood tapas. Get there early to secure a table – there is invariably a queue out the door at lunchtime. 1pm is the ideal arrival time, peak Spanish lunchtime kicks off around 2pm. 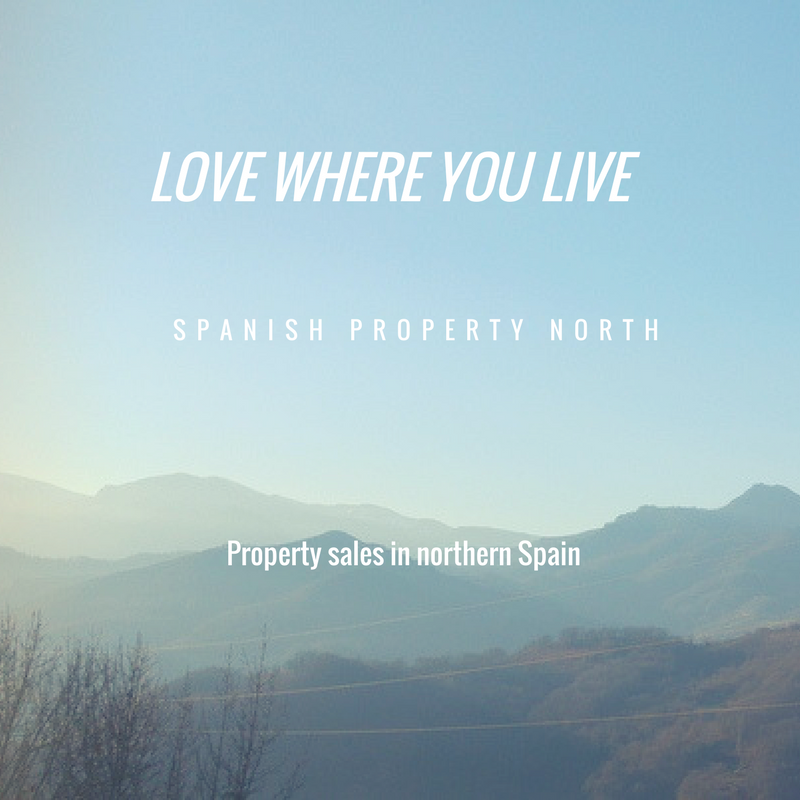 As you cross from Asturias into Cantabria on the motorway you may catch a glimpse of an idyllic-looking lagoon in the near-distance. 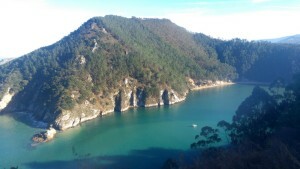 This is the estuary of Tina Menor where the River Nansa joins the sea amidst dramatic steep-sided cliffs. Here we grabbed a quick break to allow our patient greyhound a chance to stretch his long legs and for us to take in the views. 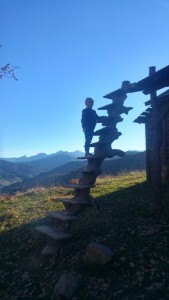 Once arrived in the Picos proper we were a little surprised to stumble across a Swiss mountain chalet tucked away in these Cantabrian mountains. On closer inspection it turned out to be the set for Heidi’s grandfather’s house from the soon-to-be-released movie trilogy starring Bill Nighy. A fun spot for a little explore. 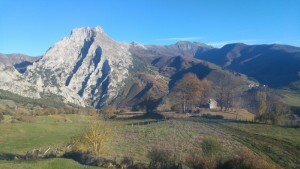 Can you spy the Swiss chalet hiding in the Cantabrian mountains? 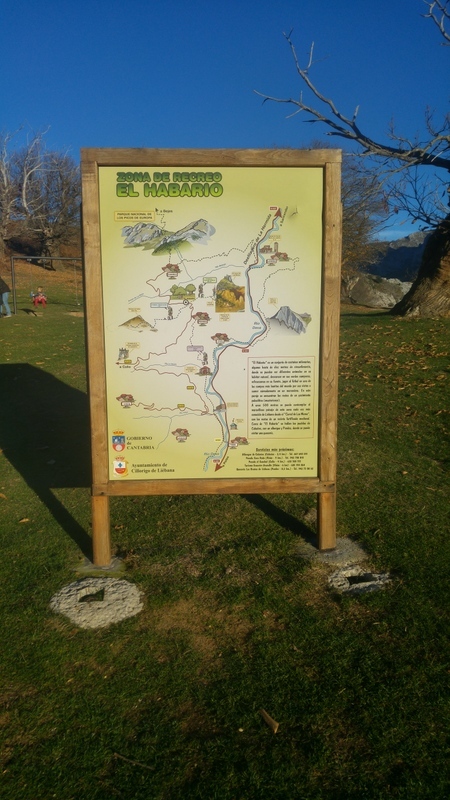 Further up the hill, above the town of Pendes is ‘El Habario’, a picnic spot in the midst of a grove of ancient sweet chestnut trees from whence a wheel of walking tracks set off across the mountains. You can pick your length of walk to suit your walkers’ leg lengths – with small folk in our number we were suitably modest in our ambitions. 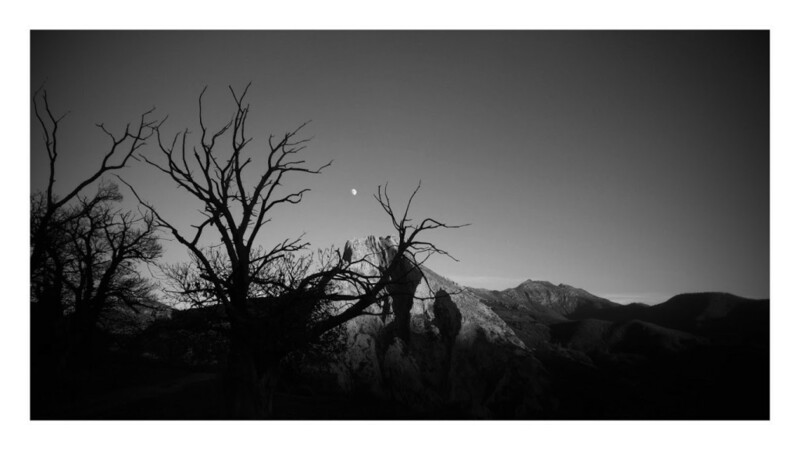 As night fell the skyline turned even more dramatic…. 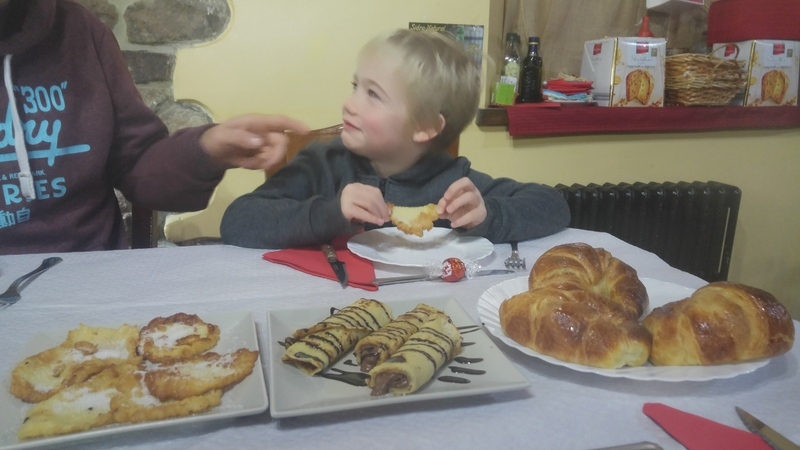 and our thoughts turned to dinner….so we headed into the bustling and beautiful medieval town of Potes where dining options abound. On the recommendation of a local friend we decided to go rather radical and try out the Mexican restaurant, a rare establishment offering fare other than the typical regional, mountain cuisine. I’m pleased to say the recommendation was sound. The menu was authentically Mexican, all freshly-prepared from scratch and with spice on the side to fire it up to your taste. A great find. So then it was back to our favourite little hotel, La Cuadrona in the centre of the La Hermida gorge. A cosy spot, toasty warm on this brisk mountain night and cheerily festooned with tasteful Christmas decorations, their spa baths add a touch of luxury to an all-too-brief getaway. And those breakfasts….worth the journey all on their own. Sounds like the perfect getaway. The hotel sounds gorgeous too, and those breakfasts!! Happy 2017! Es curioso, aunque sorprenda, la cocina asturiana tiene mucha relación con México, las fabas, el maíz. It is curious, but surprising; Asturian cuisine has a lot to relationship with Mexico, the fabas, the corn. 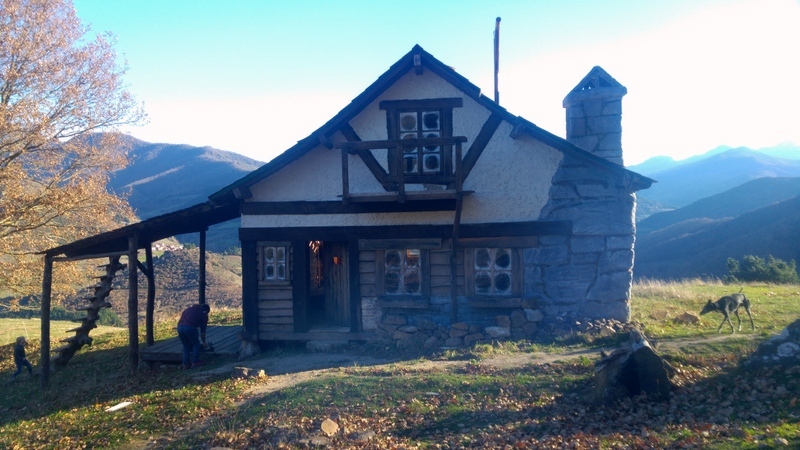 Y sorprende que siendo un paraíso haya sido siempre tierra de emigración, primero a Madrid, después a América, de donde surgieron los indianos y dejaron como huella sus casas, http://asturiaspordescubrir.com/, a Europa y todavía hoy a cualquier parte del mundo. La mayoría no tuvieron fortuna. And it is surprising that being a paradise has always been a land of emigration, first to Madrid, then to America, from where it emerged the Indianos and left their houses as a mark, to Europe and even today to any part of the world. Most had no fortune.